Team India skipper Virat Kohli and Bollywood actress Anushka Sharma are now officially husband-wife after tying nuptial knot at Borgo Finocchieto (Buonconvento) in Tuscany, Italy on 12th December. According to reports, only family members and close friends were present in the marriage. Kohli and Anushka gave this information via tweets on their official social media accounts. After this tweet of Kohli, there was a wave of happiness in the cricket world. Not only in India, but there were congratulations flowing on social media from across the border. 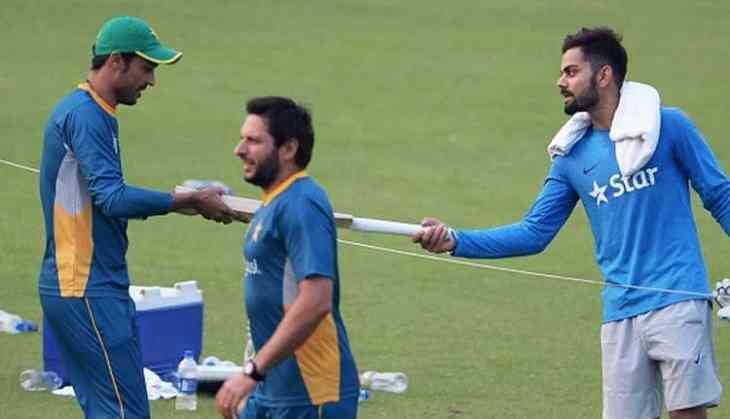 Former Pakistan cricket team captain and star all-rounder Shahid Afridi has sent congratulatory tweets to Kohli on his marriage.